Hope (Kristian Alfonso) really needs to give her stepson a stern talkin&apos; to on Days of Our Lives. First Chase (Jonathon McClendon) is outed as the jerk who&apos;s been texting nasty things to autistic Theo (Kyler Pettis); then he goes and accepts takeout from the dastardly Andre DiMera (Thaao Penghlis) in a public park! Hope has warned this boy repeatedly about Andre&apos;s desire to harm their family. Why was his silly behind chowing down with the Dark One on a bench? 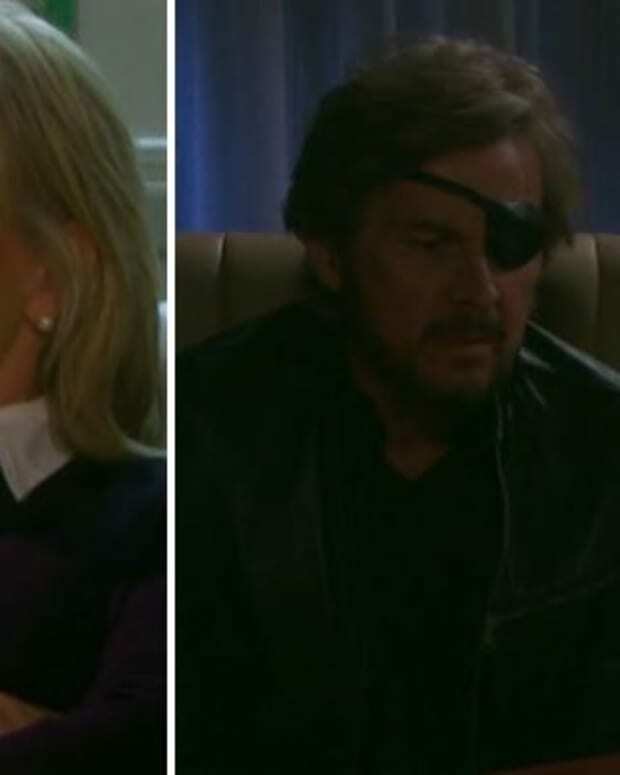 RELATED: Is Deimos More Dangerous Than Victor on Days of Our Lives? Top cop Rafe (Galen Gering) was too busy contemplating bonding with his long-lost padre over a bottle of booze to protect the youth of America. Over at the Kiriakis mansion, Philip (John-Paul Lavoisier) was all a-tither about the sudden appearance of his strapping Uncle Deimos (Vincent Irizarry). Watch the latest DAYS recap video below!